A little farmyard dust might the difference in bolstering against asthma and allergies, according to a study published in the New England Journal of Medicine. Although the study was very small, it lends some additional evidence to the so-called “hygiene hypothesis.” That theory suggests that the surge in allergies and asthma among modern children may have something to do with the increasingly sanitized environments in which they live. It’s important to note, however, that the development of asthma and allergies is complicated and involves many factors both environmental and genetic. Asthma and allergies, which are strongly linked to each other, are among the most common diseases in the industrialized world. 23andMe has done several studies looking specifically at the genetic associations around allergies and asthma, but researchers have spent several years trying to unravel the cause of the surge in these conditions. This is just the latest study that has pointed to the hyper-clean environment among modern societies that might offer some explanation. A similar study done last year, by researchers in Belgium, looked at allergies among children who grew up on European dairy farms. This new study, done by researchers at the University of Chicago, focused on differences in asthma and allergy rates among the Amish and Hutterite farming families. Although the two Christian sects are similar in their isolation and ethnicities, their farming practices are distinct with the Hutterites embracing modern agricultural technics and the Amish decidedly old-school with most everything done by hand and plows pulled by animals. “Our study in a small number of children was sufficient to show significant differences in the prevalence of asthma and in immune profiles, suggesting that very strong environmental factors must account for these differences,” the researchers said in the paper. The “very strong environmental” differences referred to in the study was the high level of bacteria in the dust in Amish family environs. The researchers looked at both the content of that dust – even taking samples and exposing mice to the dust – and they also looked at blood samples from children in both groups. 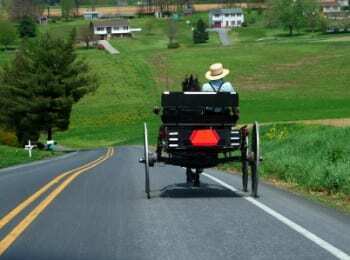 What they found was evidence that the constant low-grade exposure to microbes in the dust, appeared to boost the Amish children immune response. Those children had higher levels neutrophils, a type of white blood cell involved in the body’s innate immune response. They also showed signs of other proteins involved in the body’s inflammatory response. Some of these findings may help research into treatments or other therapies for asthma and allergies.